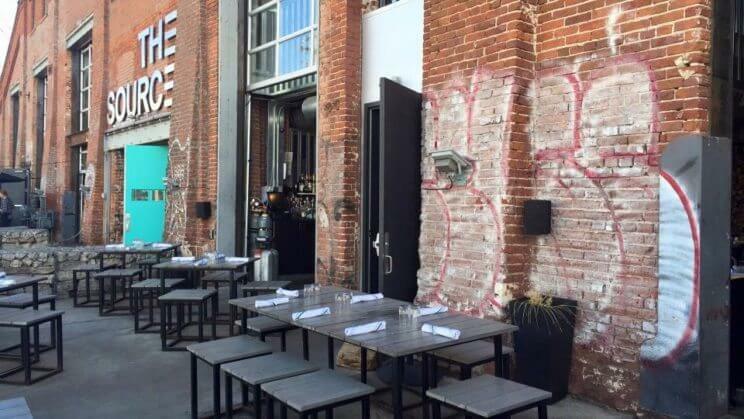 What’s Unique: Acorn is located in The Source in the RiNo neighborhood. 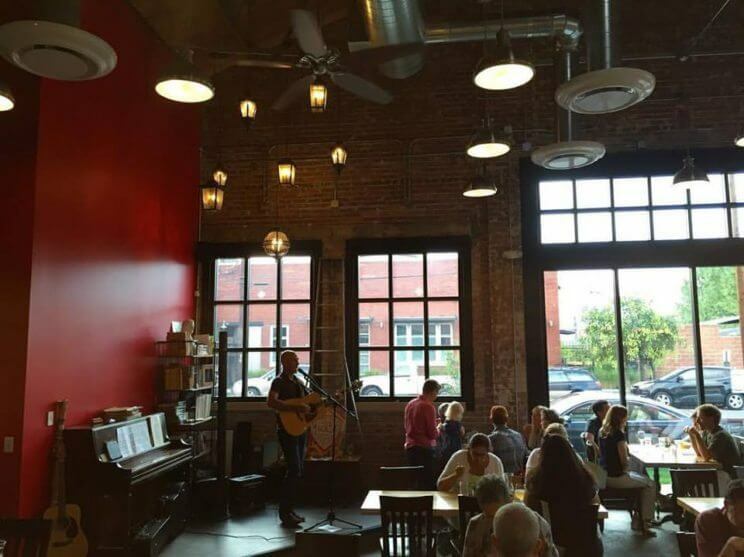 The Source is an artisan food market located in a landmark 1880s building and features 13 vendors and a bar. Menu Highlights: Shared plates that include dishes such as Crispy Fried Pickles, Tomato Braised Meatballs, and Key West Royal Red “Shrimp & Grits”; Large Plates that include Oak Grilled 40 Oz Ribeye and Oak Grilled Rocky Junior 1/2 Chicken; Desserts that include Butterscotch Pudding and Chocolate Almond Fudge. 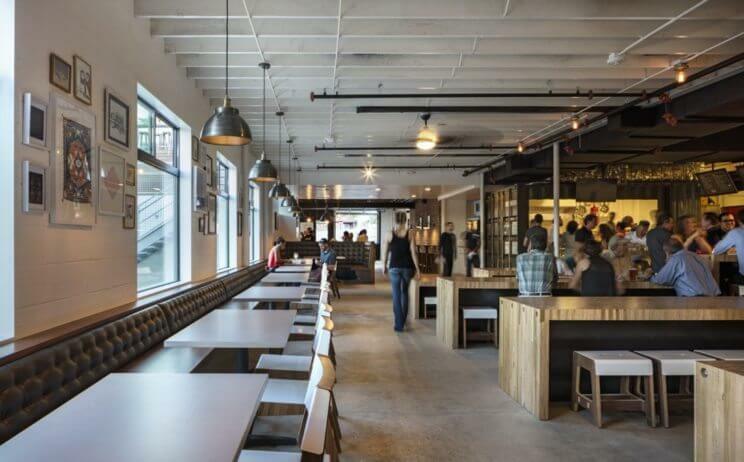 What’s Unique: Avanti Food and Beverage is a modern-day food hall in a hip warehouse space. 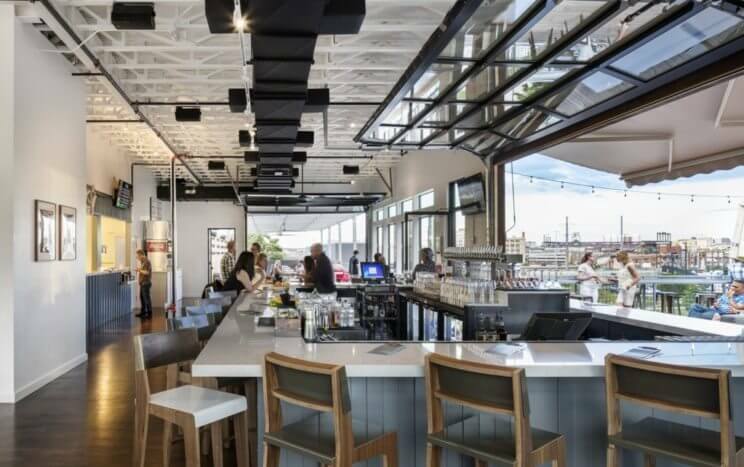 Avanti features seven different restaurant concepts located in shipping containers, two large bars, a lounge, dining area, and rooftop deck. 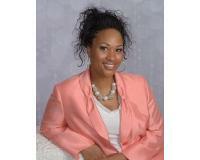 Menu Highlights: Various cuisine options that include Italian, Mediterranean, Mexican, Asian, American and more. What’s Unique: Beatrice & Woodsley brings the Colorado wilderness indoors. 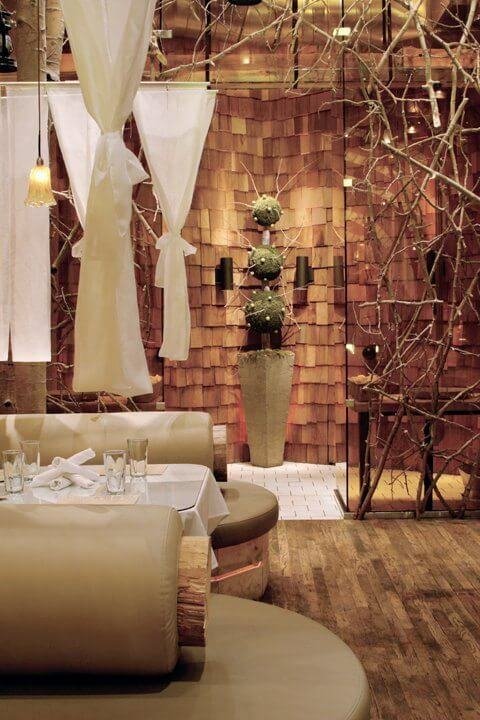 The restaurant’s décor is forest-like with rustic wood touches and flowing white fabrics. 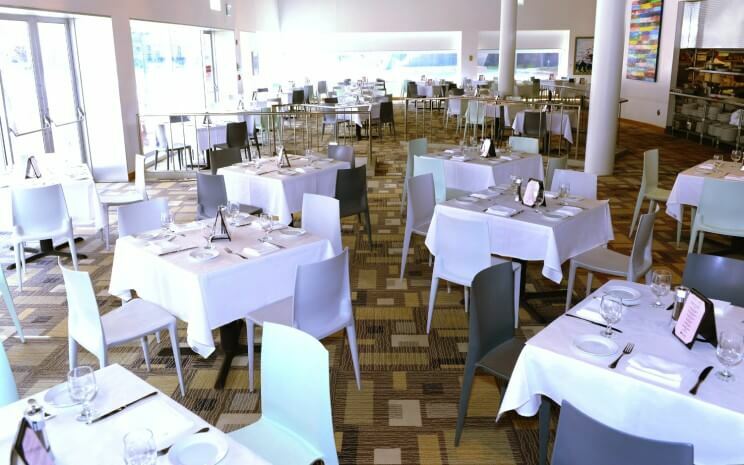 Menu Highlights: Dinner menu includes dishes such as Escargot, Chicken Liver Paté, Braised Lamb Rotolo, Ricotta Gnocchi, and Australian Seabass. 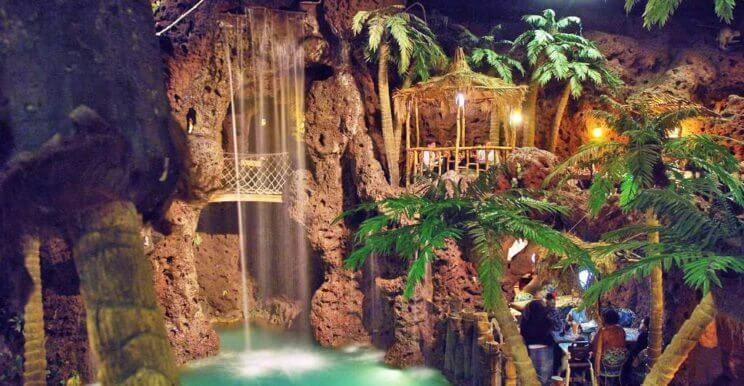 What’s Unique: Casa Bonita features a complete Mexican village with performances by the likes of pirates and Gorillas, a 30 foot waterfall designed to resemble the cliffs of Acapulco with real live cliff diving, caves, arcade and game rooms, puppet shows and more. What’s Unique: Forest Room 5‘s uniqueness is derived from its name. 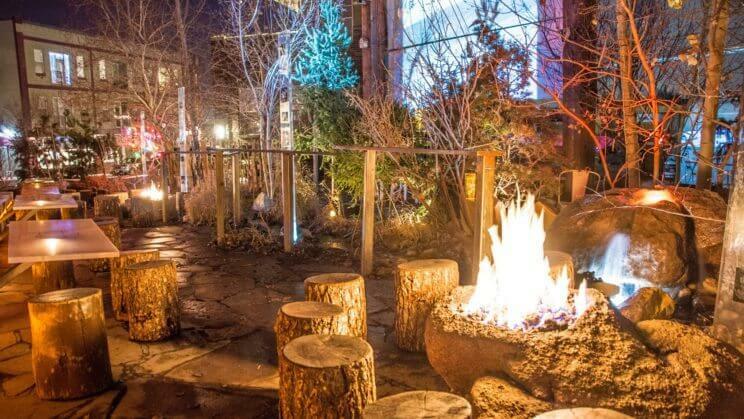 The restaurant is forest themed and features outdoor fire pits as well as large teepees guests can dine in. Menu Highlights: Dishes include small plates such as Duck Leg Confit, Smokey Mac and Cheese, and Filet de Brie; Large plates such as Linguini, Bison Short Rib, and Flat Iron Steak; With speciality desserts such as S’mores you can cook directly by the fire. 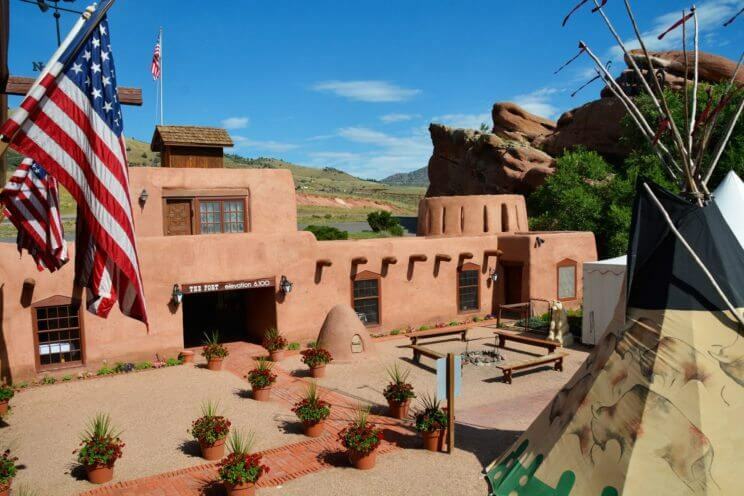 What’s Unique: The Fort was built in 1963 as a replica of Bent’s Fort, a famous Colorado fur trade fort built in 1833. All the furniture, gates, doors and chairs were hand carved by Taos artists in the same style as they were in 1833. The menu also is very unique, the dishes offered are based on research of the diaries of pioneers and what they ate along the Santa Fe Trail, as well as wha the mountain men ate, and the cuisines of the native Indian tribes. Menu Highlights: The Fort’s menu features fine buffalo, beef, game and seafood. Dishes include William Bent’s Buffalo Tenderloin Filet Mignon, Gonzales Steak Inspired by The Fort’s wood carver Elidio Gonzales, Elk Chops St. Vrain and more. What’s Unique: Jing‘s décor is yin-yang themed. 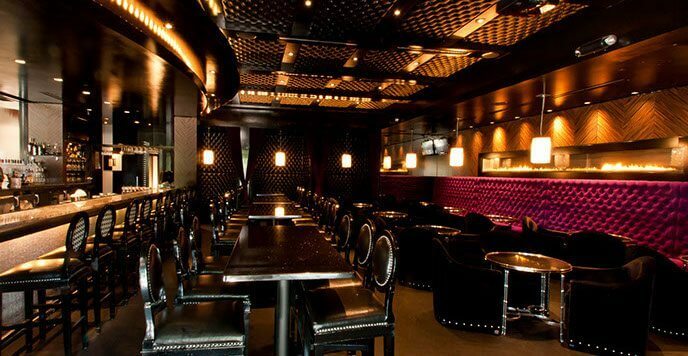 The bar and lounge’s color palette is black with red sofas, while the dining area’s color palette is white and cream. 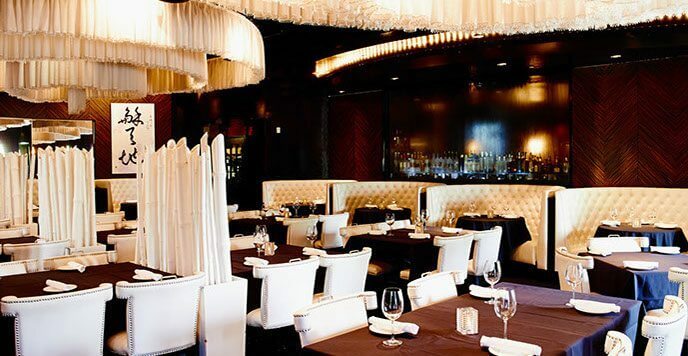 Menu Highlights: Shared plates such as Chicken Lettuce Wraps and Kobe Beef Sliders; Signature plates such as Miso Seabass and Peppercorn Tenderloin; Classic Wok dishes such as Thai Basil and Mongolian; Sushi and Sashimi rolls, Grains, and Noodles. What’s Unique: Linger‘s location was once the old mortuary Olinger. The décor doesn’t shy away from the restaurant’s past with touches such as a former church pew as the host table and elements throughout the restaurant such as vintage photographs and funeral fans. Menu Highlights: The menu changes every so often but several dishes are mostly always available such as the Roasted Beet Salad, Wagyu Sliders, Falafel Lettuce Wraps, and Colorado Lamb Kabob. Psst… The Olinger outdoor sign is still in place and reads “Olinger Mortuaries” during daylight. 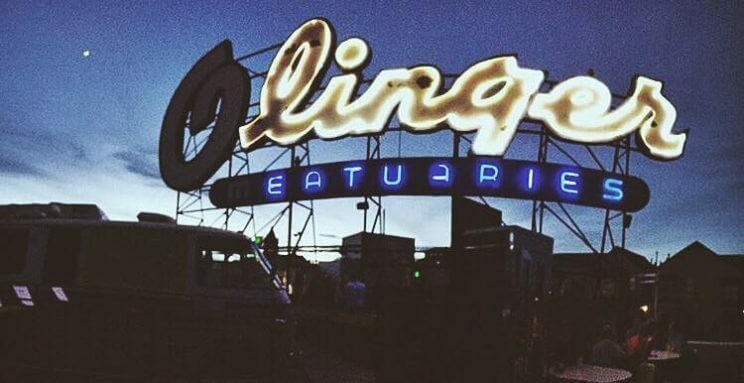 At night when the signs lights up it changes to “Linger Eatuaries”! What’s Unique: Mister Tuna is the latest restaurant by Chef Troy Guard and is homage to Guard’s childhood. It occupies a space that was once a warehouse and features original roll up garage doors and childhood photographs of Guard. Menu Highlights: The Raw Bar includes dishes such as Fresh Sucked Oysters, New Style Wild Salmon, and King Crab; Appetizers include dishes such as House Ricotta Toast, Charcoal Rotisserie Lamb Sliders and Grilled Lamb Pizza; Entrées include dishes such as Local Rack of Lamb and Dry Aged 30oz Bone-in Rib Eye. 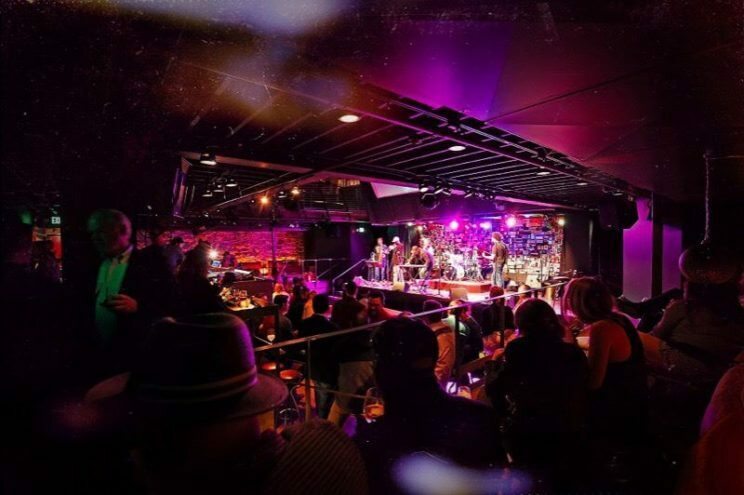 What’s Unique: Ophelia’s Electric Soapbox is a multi-level “gastro-brothel” with an open-pit at its center that features a stage for live performances, with guests being able to view the stage from all levels of the restaurant. 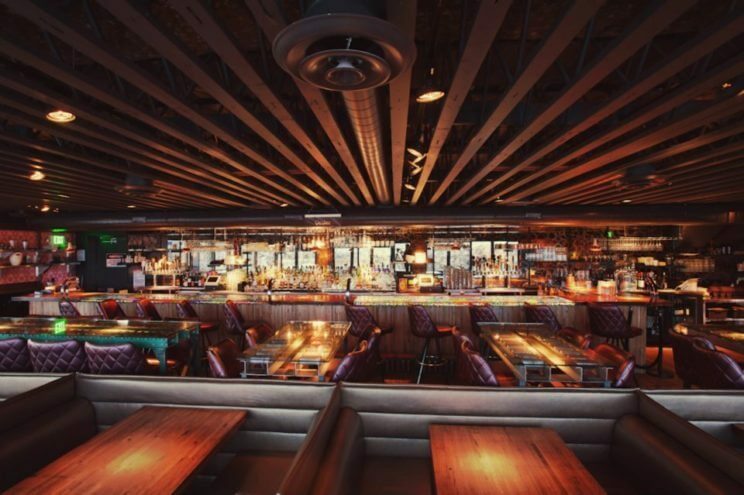 Menu Highlights: Stone Fire Skillets and Boards which include Green Chili Goat Cheese Cornbread and Scandinavian Duck Meatballs; Entrées such as Chicken and Waffles and Grilled Hanger Steak; And many more options such as burgers, sandwiches, soups, salads and small appetizer plates. 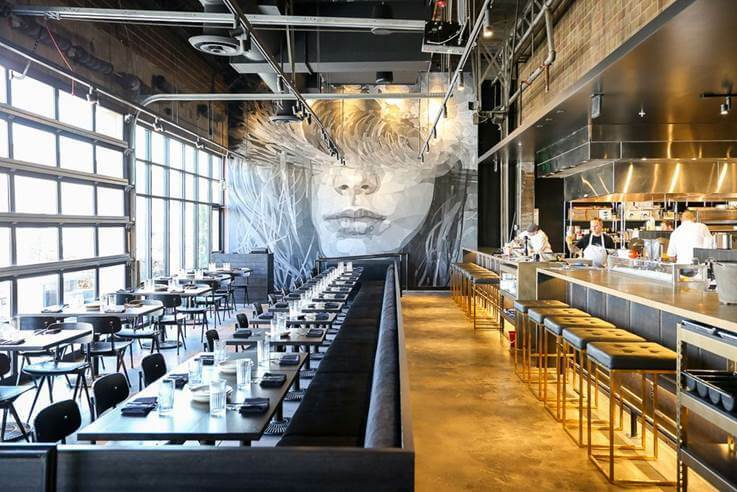 What’s Unique: Palettes, part of Chef Kevin Taylor’s Restaurant Group, is one of the nation’s first chef-driven museum restaurant concepts. Palettes is located inside the Denver Art Museum and its seasonal menu reflects the exhibitions that are currently on display at the museum. Menu Highlights: Seasonal menu with some returning dishes such as the Colorado Lamb Burger, Charbroiled Sirloin Burger and Grilled Goat Cheese Flat Bread. 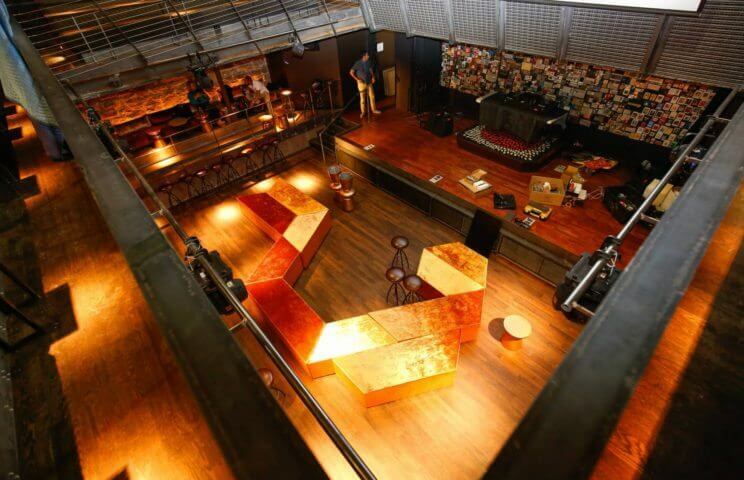 What’s Unique: The Preservery is not only a restaurant, it also combines a bar, a bakery, a live music venue and a marketplace, in its warehouse-style space. Menu Highlights: Dinner menu includes dishes such as the Hummus Bruschetta, Crab Cake Croquette, Niman Ranch Pork Tenderloin and Yarmony Ranch Wagyu Steak. Market menu features sandwiches such as Nut Butter & Jelly and Muffuletta, and salads such as Tabbouleh and Kale Caesar.